As a dentist, I have been treating patients in my hometown of Hayward for over 24 years. During that time, I have had the opportunity to develop lasting relationships with my patients and strive to treat each patient as if they were a member of my family. I am married with 3 grown children. In my free time I enjoy running, biking, skiing, playing hockey, motorcycles, and traveling. Teresa is a 1998 graduate of North Central Technical College and has been a member of the Hayward Family Dentistry team since 2001. Teresa is married and has 2 daughters and 1 son. In her free time, Teresa enjoys spending time with her family, exercising, playing trivia games and watching movies. Teresa can often be found cheering on the Brewers and taking vacations to Door County and Upper Michigan with her family. Stephanie is a graduate of Lake Superior Community College in Duluth, Minnesota. Stephanie is married and has two dogs. In her free time, Stephanie enjoys scrapbooking, reading and spending time with friends and family. 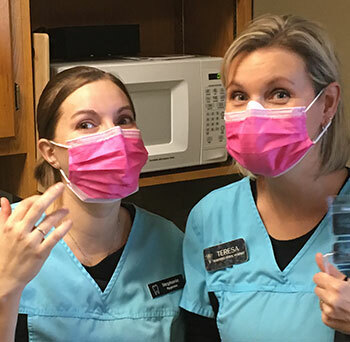 Linda is a dental assistant who loves meeting new people and making them feel comfortable in what can be a stressful time. She likes spending time with grand kids and long walks on the beach. Kim has enjoyed working with Dr. Duffy and his staff for over 20 years. 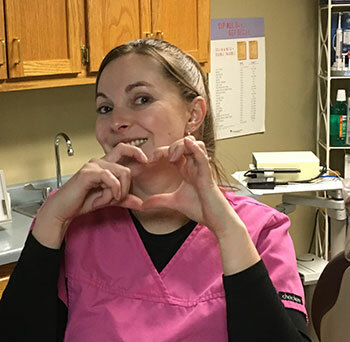 She loves building relationships with our patients, encouraging and making them feel comfortable. Kim and her husband enjoy church activities, riding their motorcycle, spending time with family along with their new grandchild and their adorable dachshunds. Shelley is married with 3 grown children. In her free time she enjoys walking her Weimaraner, reading, sewing, quilting and knitting.